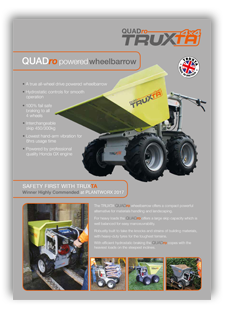 The NEW TRUXTA QUADro powered wheel barrow offers a compact powerful alternative for materials handling and landscaping. 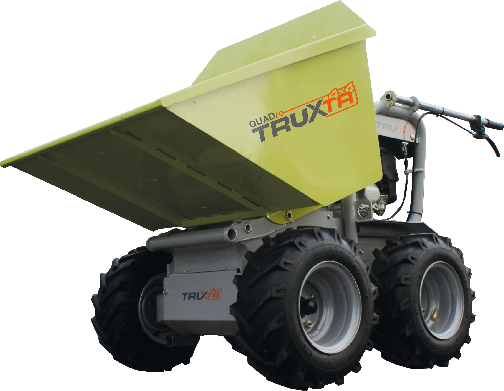 For heavy loads the QUADro offers a choice of big balanced skip capacity and plenty of power – 300kg or 450kg skip for big loads. 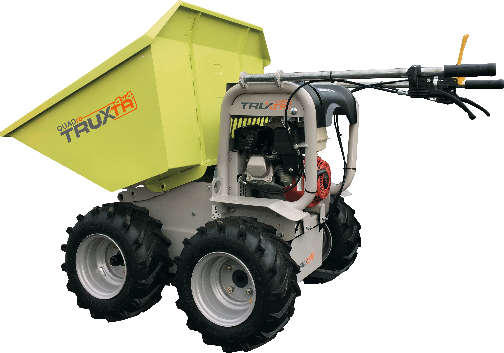 Robustly built to take the knocks and strains of heavy materials. 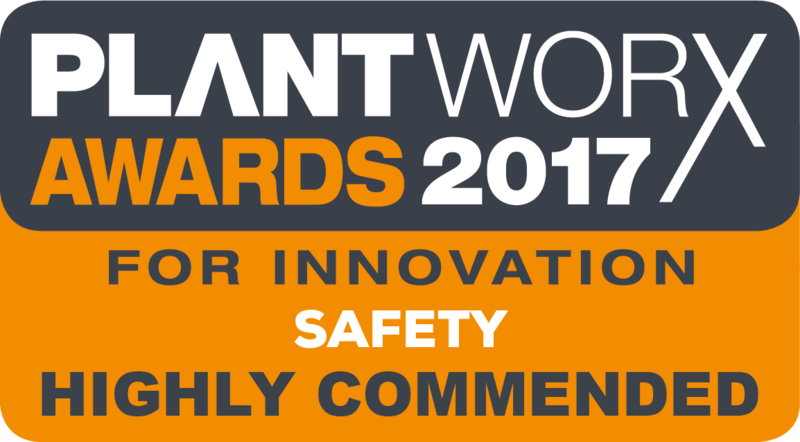 Heavy duty tyres built for toughest terrains. controls release the fail-safe brakes immediately.